This one is my favorite. Chocolaty with raspberry flavor is so rich tasting. When I take it to work in my mug people ask me what I’m drinking because it smells so good! Delicious!! Love it!! I brought a pound of this in to work and we went through it in no time. The coffee drinkers loved it and the non-coffee drinkers thought it smelled amazingly. I will definitely be buying more of this. I am a very picky coffee drinker. I was a Gevalia customer for the last 30 years. I always enjoyed their Chocolate Rasberry (Mocha) flavor until they discontinued it. 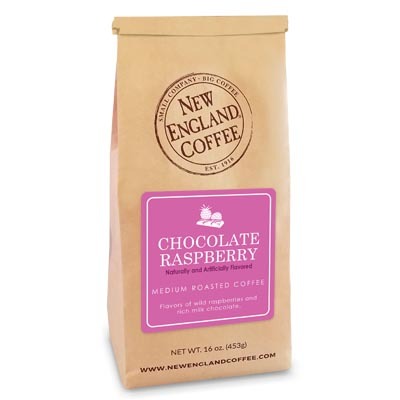 After the initial panic set in, I stumbled across the New England Coffee’s Chocolate Rasberry flavor and tried it. It far exceeds the quality and taste of Gevalia’s product. So, their subscription is cancelled, and New England has my business now. This is the BEST coffee ever! I have an allergy to milk and want to minimize my sugar intake so drink my coffee black. 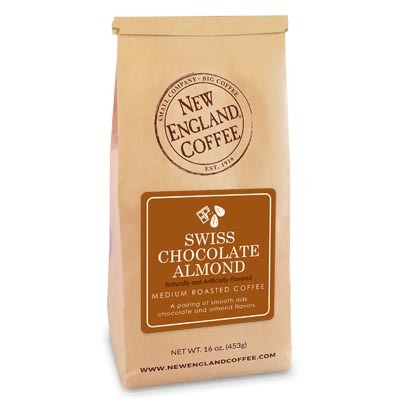 It has taken me quite a while to find a smooth flavored coffee that tastes great without adding anything else. I found the chocolate raspberry coffee by accident at a breakfast place near my home one Sunday morning. I have been hooked ever since. It is excellent. The Chocolate Raspberry has a bold but not ovepowering flavor that works well to compliment any breakfast meal and is also great to have at any time of the day. 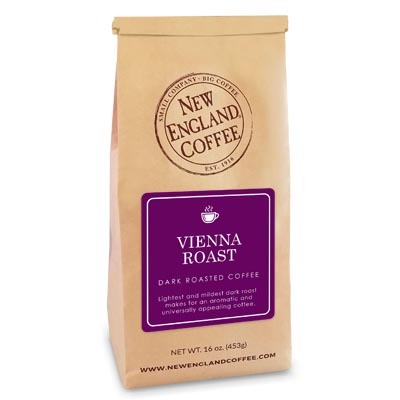 Awesome coffee…awesome flavor! Your Bluberry Cobbler has always been my favorite , but now this Chocolate Raspberry is so delicious too!! A perfect blend of coffee, what else needs to be said. This has been my only coffee since I discovered this web site almost two years ago. I highly recommend this coffee for anyone who either likes chocolate or else prefers smoother, less bitter coffee. You can’t go wrong!